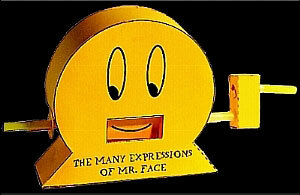 The Many Expressions of Mr Face. This is the easiest to make of all our card cutouts. Turn the handle to see the many (3!) 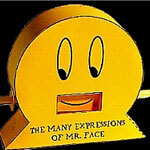 expressions as Mr Face’s mouth changes. Designed by Max Alexander. Difficulty: Easy.